Few people ever get to see the terrible reality some animals experience. But thanks to the tireless work of some animal advocates, their suffering is finally coming to light - and hopefully that means change. Even though there are animal welfare laws stipulating how live animals should be transported, a groundbreaking five-year investigation - carried out by Eyes on Animals, Animal Welfare Foundation and Tierschutzbund Zürich, supported by Compassion in World Farming - reveals a massive failure to enforce these rules. Thousands of animals - 900,000 sheep, 850,000 cows and 5,000 goats - were exported from the European Union (EU) to Turkey between 2010 and 2015. The animals have been routinely forgotten at the border of Turkey, left without food and water to suffer in horrifically high temperatures. The violations of international animal welfare regulations fill a "shocking" 1,000-page report. 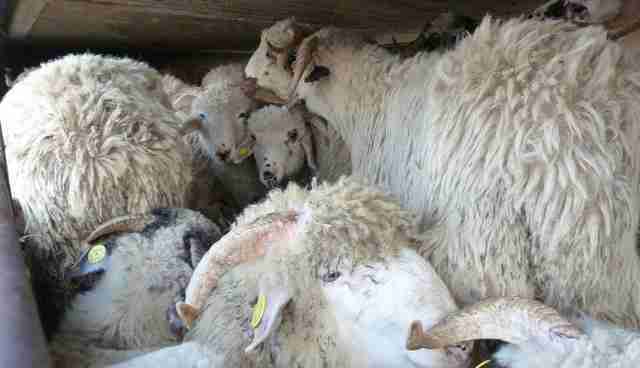 A whopping 70 percent of transporters inspected over a period of five years broke one or several EU animal welfare regulations. The investigation "revealed that sheep, cows, and goats were illegally kept on trucks at the Turkish border for days on end in squalid conditions without being offloaded," according to a press release from Compassion in World Farming. "They were given no shade in extremely high temperatures, and also endured a basic lack of food and water, with some animals exhibiting signs of extreme dehydration." Temperatures on these trucks reached 106 degrees. Footage shows that investigators often tried to find a way to bring the suffering animals water with hoses or pails of water. The animals desperately struggled to get a drink. 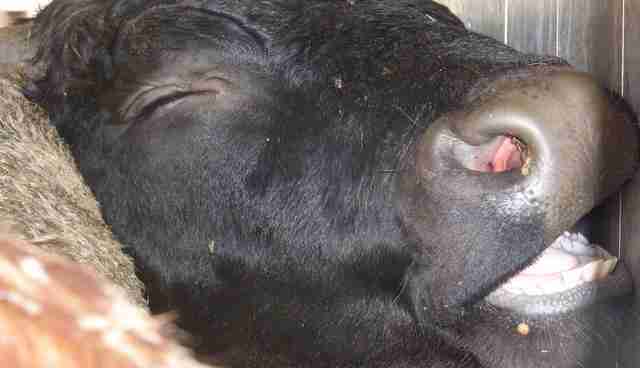 Injured animals and animals giving birth were left without any veterinary assistance, according to Compassion in World Farming; those who died were just left among the living. "Despite evidence of these conditions being brought to the attention of the authorities many times over the course of five years, no action was taken to put a stop to these practices," the group said. 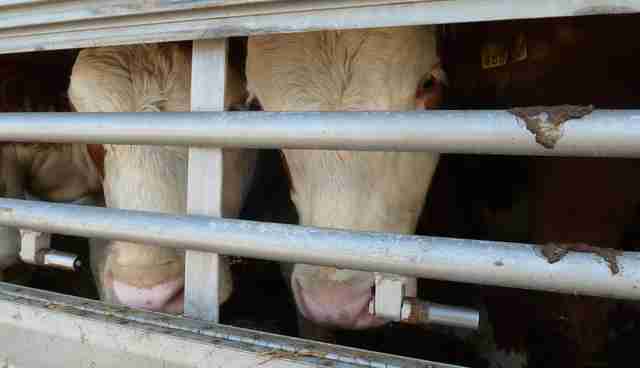 Investigators called the transport of these live animals a "systemic violation" of the rules that were meant to prevent their suffering "as sentient beings." 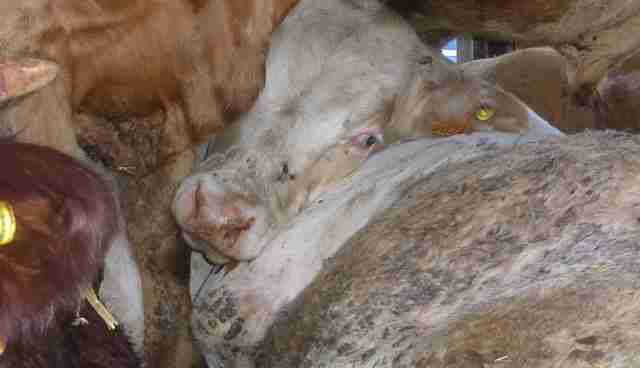 Investigators documented filthy water troughs and images of dead animals being dragged from the transport trucks. The pain the animals at Turkey's border endure is the disastrous reality of live export, a practice that plagues the lives of animals all over the world. This particular instance shows the neglect embedded in the practice of shipping animals across borders just to be slaughtered - often inhumanely. But not everyone understands why a livestock animal's comfort is a big deal in the first place. A commenter on Reddit recently wrote: "Why would this be something to talk about... Hey, did you hear about those animals that are going to die are dying?" Click here to learn more about live export - and to do something about it. Click here to learn how to cut down on animal products in your diet. Even a little bit helps.